After losing his betrothed, Ceana, to a Lowlander, Laird Gabriel MacKinnon is charged with saving her cousin along with a brood of children from an impenetrable castle. Though the lady he's been tasked to protect has been accused of a heinous crime, Gabriel has no fear of her. In fact, he's a little irritated at the prospect of delivering her to her kin. But this hardened, cold warrior just may find his heart melting, for the hellion brings out a passionate side he'd thought long buried. 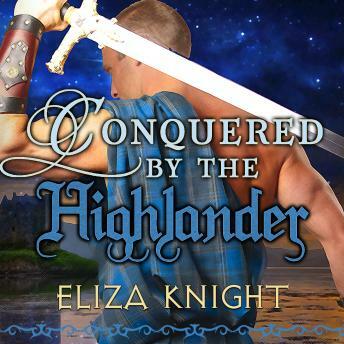 Lady Brenna has had more than her share of hardships, and when freedom looks to be on the brink of her horizon, she's not about to let some moody Highlander take it all away. She'll stop at nothing to keep her children safe-and to guard her heart-even though the warrior's heated kiss threatens to change every vow she's ever made and every belief about love she's ever known.